Next generation managed business Wi-Fi service boosts performance over 2x in high traffic networks without upgrading existing infrastructure or end-user devices. OVERLAND PARK, KS and IRVINE, CA April 17, 2019 – Leading MSP SkiiTech is pleased to announce it is now offering Badu Networks’ patented breakthrough optimization technology to overcome Wi-Fi performance and throughput challenges, without costly and disruptive infrastructure or end user device upgrades. 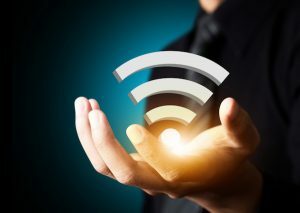 These challenges stem from the fact that high traffic Wi-Fi networks are often plagued with jitter caused by RF interference, fading, and saturation due to sudden increases in activity. Network protocols treat jitter as congestion, slowing traffic to prevent data loss until throughput collapses, even when plenty of bandwidth is available. As a result, connections drop, videos pause, and applications stall, leading to poor employee productivity and unhappy customers. IRVINE, CA January 10, 2019 – Badu Networks, the market leader in next generation network optimization solutions, and Shoelace Wireless, a pioneer in multi-channel aggregation to improve Mobile Internet speed, reliability and security, are pleased to announce that they have joined forces to deliver BoostAgent. BoostAgent is a downloadable Android App that makes it possible for mobile device users to seamlessly stream 4K ULTRA HD videos without annoying buffering interruptions, download large email attachments in a snap, and browse the internet at high speed. BoostAgent is ideal for mobile network operators and CDNs that want to dramatically improve quality of experience for their subscribers. IRVINE, CA October 7, 2017 – Badu Networks, a market leader in TCP optimization solutions, has developed a network optimization solution for building out and sustaining the 5G network. Badu Networks’ WarpEngine-X addresses the economic, performance, and technical challenges that carriers will face in the build out of 5G networks. IRVINE, CA August 8, 2017 – Badu Networks, a market leader in TCP optimization solutions, is pleased to announce the release of its 10Gb/s product, WarpEngine‐X. WarpEngine‐X leverages Badu Networks’ patented WarpTCP™ technology which mitigates TCP’s Retransmit Timeout (RTO) induced throughput collapse to improve network performance by up to 10x. This ensures the highest quality of service possible for mission critical applications. IRVINE, Calif. August 7, 2017 – Badu Networks is pleased to announce that its WarpVM solution is now available on the Amazon Web Services (AWS) Marketplace. WarpVM leverages Badu Networks’ patented technology to separate the signal from the noise, resulting in dramatic increases in throughput between cloud and on-premises environments. Benchmarks show WarpVM boosts network throughput by up to three times on uncongested networks and up to ten times on highly congested networks. WarpVM optimizes TCP bandwidth utilization to get the most out of a connection when sending and retrieving data to and from AWS. WarpVM excels within jittery networks, such as Wi-Fi and VPN tunnels. WarpVM is available as a c4.2xlarge instance, providing up to 2 Gbps peak throughput.